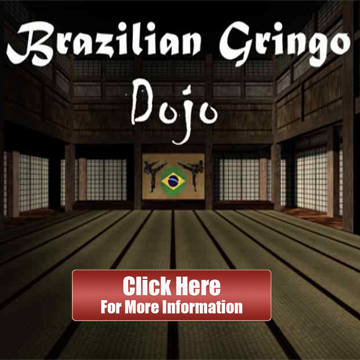 If you’ve spent more than a few minutes on this website then you’ve figured out by now that we’re pretty big on learning Brazilian Portuguese around here. Learning Portuguese is by far the most important factor for a successful life in Brazil. You simply cannot function at more than a basic level in Brazil if you don’t speak Portuguese. You know that you need to learn Brazilian Portuguese (and not European Portuguese) if you’re going to live in Brazil, but what’s the best way to get there? I’m going to introduce you right now to the best Portuguese course on the market. It’s a course that I both used as a learner when I first came to Brazil and later I became an actor in the series. That course is of course Semántica-Portuguese. In this article you’re going to see why purchasing Semántica will be the best decision you make for your Portuguese learning. Semántica is an online video series based out of Rio de Janeiro. Created by James Hall, the series aims to authentically illustrate Rio while teaching Brazilian Portuguese and Brazilian culture. It is often likened to a Brazilian novela that teaches Portuguese. For each learner level there is a unique story that you follow along. As you are learning new vocabulary, grammar and pronunciation you are following along a captivating drama in Rio de Janeiro. The Semantica approach to teaching Portuguese through stories has the added benefit of showing you what life is really like in Rio de Janeiro. You come away with a deeper understanding of Brazilian culture because you get to see how people actually interact with each other in Brazil. This is something that is unique to Semántica and not found in any other Portuguese course. I freely admit that I may be a little biased towards Series 1 of Semántica, because it was the first online Portuguese product I ever tried. As I was just beginning my Portuguese journey, I stumbled upon Semántica through their free videos on iTunes. At the time, it was the only product they offered, so I had the privilege of watching the company and its products’ grow and improve over time. Series 1 is a 36 lesson video series that follows Paul, a New Yorker, as he makes his way through Rio for the first time on a business trip. Paul is accompanied by Raquel, who guides him through the city and helps him better understand Brazilian language and culture. Series 1 is designed for beginners. Someone starting from scratch could begin with Series 1 and get up to speed relatively quickly with what is going on. In the first few lessons, you will learn basic Portuguese survival phrases like “excuse me,” “my name is…” “it is very nice to meet you,” etc…Each lesson consists of a short video followed by a review of the most important words, phrases and grammar. The videos offer instruction on both pronunciation and grammar and then give you time to repeat the material. The material is broken down into very manageable pieces of information, ideal for the beginning learner. The format and pace of of the series is excellent. I never once felt overwhelmed but consistently felt like I was engaged and learning. Another highlight of series one is it follows a continuous storyline. This way you become engaged with the characters and maintain interest throughout the series. Paul is on a business trip in Rio, which at first I did not like because it seemed a lot like a Pimsleur style approach and it wasn’t particularly relevant to my Portuguese needs. However, the plot is less focused on business and more focused on Paul of learning the ropes of the city, making friends and improving his Portuguese. Throughout the program, he forms relationships, learns how to samba, goes to the beach, visits an island, orders caipirinhas, rides in taxis, and much more. Throughout Series 1, the dialogues and conversations grow progressively more complicated. By the end of the series, not only will you follow Paul throughout his adventures in Rio, but you will also be familiar with a variety phrases and real-life situations that will prove useful on your Portuguese learning journey. Once you’ve moved past the beginner oriented Series 1 you can take on the challenge of Series 2 aka Intensivo. Semántica’s flagship program Intensivo, is an impressive 100 video series that follows the story of Bianca, a middle class Brazilian who moves to Rio in search of adventure and new opportunities. The story accompanies Bianca on romantic adventures, a variety of different jobs and employment opportunities, jiu-jitsu practice, fun at the beach and much more. Intensivo offers everything that makes Series 1 so good but also goes above and beyond on several fronts. First of all, there is a lot more content, consisting of 100 episodes, all accompanied with a comprehensive breakdown, pronunciation lessons, and end of unit test. The Semántica team also really upped their game in terms of production. The video quality is outstanding, as well as the acting, and the supplemental materials. One of my favorite aspects of the are the comprehensive breakdowns. After each lesson approximately 5 minutes long, there is a breakdown and analysis of the material covered in the video. This approach allows you to take in a lot of information, but then slows it down so you can really absorb the material. So many Portuguese products either provide too little material and it becomes boring, or they provide so much where you can’t keep up. The breakdowns ensure that you are always pushing yourself but never getting lost. Furthermore, the breakdowns are fun and natural. A Brazilian girl and American guy with good chemistry not only cover the material but also give insights into Brazilian culture. If you couldn’t tell, I’m the bearded American guy who does the breakdowns with Beatriz in all 100 of the intermediate videos. After living in Brazil for a few years and working on Brazilian Gringo for a few months I had the opportunity to work with Semantica and help create this course. That’s a story for another day though. The newest addition of the Semántica portfolio are the street dialogs. In regards to their format, they are not much different from the Intensivo series. 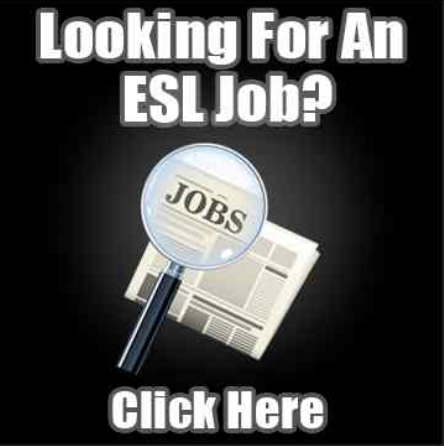 They use real-life situations to teach Brazilian Portuguese. The only difference in terms of formatting is that they do not follow a continuous story. The production quality was upped substantially during the filming of these videos. A new cinematographer with brand new cameras and editing software was brought on board to create content that would be unmatched in quality for generations to come. The topics range from pilates sessions, to the beach, to going to movies, to ordering at bars, etc. New street dialogs are constantly being added so be on the lookout in the future for more. The Advanced Dialogues are a little longer with more complex conversations, while the Street Dialogues are slightly more catered to the intermediate learner. The advanced dialogues are generally about 10 minutes of unfiltered Portuguese conversation at real speed. These are real Brazilians speaking the way they do everyday on the streets of Rio. If you can get through these dialogues, you are ready for the cidade maravilhosa. They cover a variety of topics and serve as a solid supplement to Semántica’s other programs. High quality video and acting. Although I am a big fan of audio programs like Portuguese Pod, high quality video and acting just can’t be beat. The actors are professional and natural. It really feels like you are watching a TV series, only with a language learning and cultural component. It is an excellent stepping-stone to understand real Brazilian television, and more importantly, real Brazilians. Helpful for all levels of Portuguese. With a beginner’s series, the intensivo, advanced conversations, street dialogs, advanced dialogs, songs, and a blog, there is truly something useful for everyone no matter where you find yourself on your Portuguese journey. 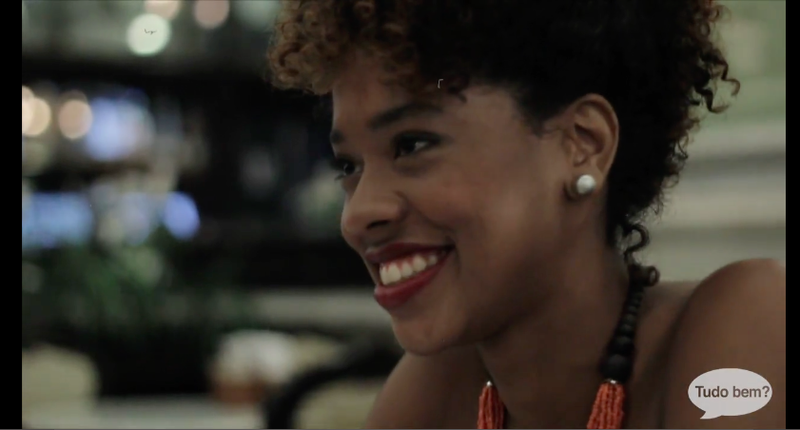 The large majority of the videos take place in Rio, with real cariocas speaking to one another in a natural fashion. They take you to some of the tourist landmarks like Copacabana, but include scenes in lesser-known locations in Rio as well. As mentioned before, each episode includes a comprehensive breakdown of the relevant linguistic and cultural highlights in the episode. An insightful American guy and Brazilian girl who have good chemistry conduct the analyses. They are useful in going deep into the language and culture while managing to keep my attention. Each lesson also includes pronunciation lessons with professional speech actors. I’ve spent hours repeating after them, and can honestly say it has dramatically improved my pronunciation and intonation. The actors slow down the words so you can really grasp the sounds, although this still might be a struggle for students who have yet to develop a keen ear for Brazilian Portuguese. Semántica does a wonderful job of sneaking in small grammar lessons in a way that are digestible and engaging. Rather than having a separate section dedicated to grammar, I really enjoy their holistic approach to the language and culture. 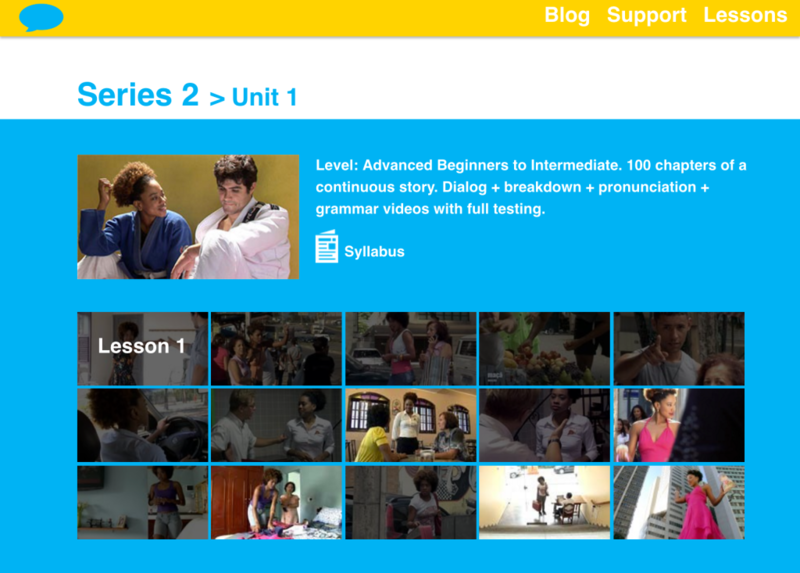 Each unit (of ten videos) has an end-of-unit progress test to ensure that you are effectively learning the material. They provide an extra level of accountability to your studies. Occasionally, there have been technical issues with the progress test but the Semántica. So many Portuguese learners fail to learn the language simply because of a lack of sustained motivation. That is why keeping a course entertaining is so important. Perhaps better than any other Portuguese program on the market, Semántica is quite entertaining and won’t fail to capture your attention. One of the few weaknesses of Semántica is that there are the occasional technical difficulties. Sometimes the videos have problems loading or the progress test won’t let you continue, among other small technical irritations. Semántica is a small team so it is understandable, and they generally respond in a timely manner. Given that Semántica is based in Rio de Janeiro they do a pretty darned good job. The design is not really what you would expect from a company that competes with giants like Rosetta Stone. Though the content is second to none, the website it’s hosted on is not the most aesthetically pleasing or easy to navigate. Occasionally, there are unnecessary pop-ups bars or it can be difficult to return to the homepage. These are small weaknesses and ones that the Semántica team will address as they continue to grow. Semántica is one of the few Brazilian Portuguese programs out there that I would feel comfortable recommend to any student of Brazilian language and culture. With an abundance of programs and levels, it can serve the need of almost any student. Apart from the small aforementioned occasional tech issue, Semántica is very efficient. You can download all the videos and save them to your computer or watch them on mobile. Will this product help you better connect with Brazilians? Very much so! You’ll learn about culture, food, music, places, and tons of language. Semántica affords so many conversation topics for the Portuguese student. This will be especially helpful if you go to Rio. Can you rely entirely on this course or should you use in it combination with other courses? Semántica is probably the only course I would recommend as a stand alone offering. While I am hesitant to recommend relying on one course by itself, if you were going to do it, it might should probably be with Semántica. Click here to get started with Semantica.